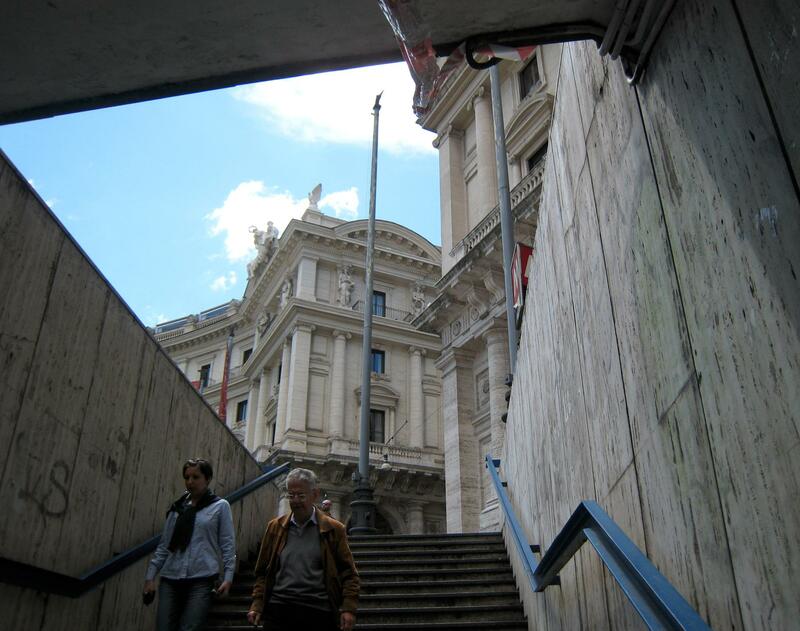 My first sight of Rome is as I leave the metro station, and see, through the stairway, great, columns of stone. This pretty well sums of Rome – majestic stone buildings everywhere. My train to Rome had free, unsecured WiFi. But, to use it, to identify myself, it wanted me to put in my name, a password, and a credit card number, and submit it (without SSL) over unsecured WiFi. No thanks. I was really tempted to start a sniffer just to see how many credit card numbers of others flew by, but realized I didn’t have one installed, and I’d have to expose my credit card number to anyone listening in order to download one ;). When I arrived at my hotel, and was given my room key, I was a little worried the room would not be found. However, the only thing “not found” here appears to be a place to stand in my bathroom. 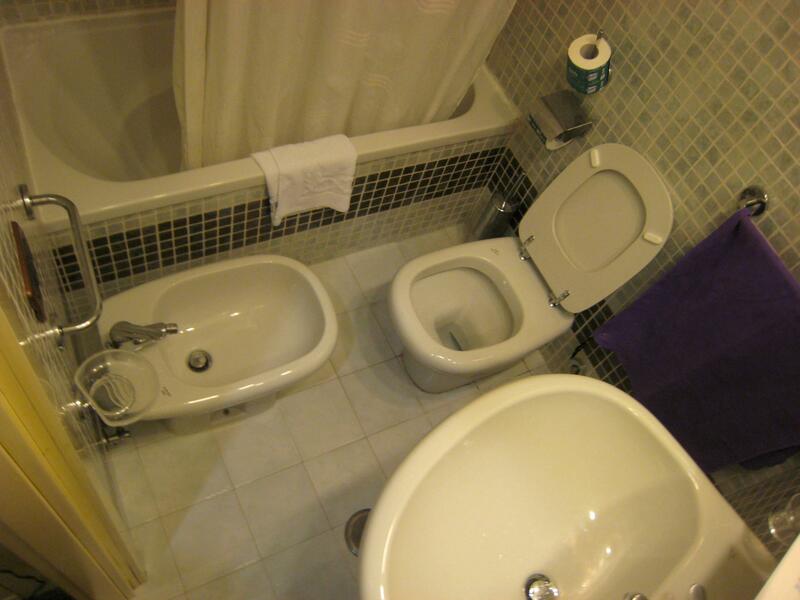 Right foot in the bidet? My first couple days in Rome I spend holed up in my hotel room, like the hikikomori I sometimes am, working on all of my Turkey photos and blog entries, and generally recovering from the exhaustion of the packed schedule of the previous weeks. Saturday evening I attend a mass in English provided by the parish of Santa Susanna in Exile (the parish is in exile, not the saint, as their ancient church is undergoing renovations) at the Basilica of Santa Maria degli Angeli e Martiri, which is a gorgeous old church just across the square from my hotel. The chapel in which the English mass is held is marvelous – though I gather the architecture is rather simple, it is painted to look like it has many niches, edges, carvings, etc, and the illusion is quite convincing. I have significant difficultly distinguishing the painted arches from real ones. Sadly the lighting did not make for a good picture. Some food is had. The lasagna at the cafe on my block is not particularly great, but the desert was fantastic.